Already play sunday nights in oakleigh, looking to add one more. Hey there, im mun. I used to play netball about 10 years ago. Im looking to join a team to get my fitness back on track. Im free during week nights. Thanks :) Locations that are convenient for me include the thomastown, epping and any surrounding suburbs close to those. 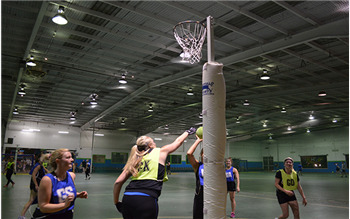 I am looking at joining a social netball team. I used to play netball well, but have not played in 13yrs!! I am 5ft 2, and used to play C/WA. I am available to play Mon-Thurs evenings. Just finished footy season and looking for an indoor soccer team to join. I've played indoor/outdoor soccer on and off for 15 years, fairly pacey and disciplined. Looking for something fairly local but I am flexible. I love indoor soccer! I have moved to Melbourne 5 month ago and I am looking for a team or some guys to play soccer with! I live in city. 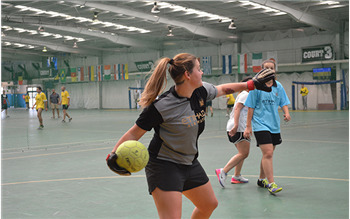 Hi - I'm looking for an experienced keeper for a Friday night indoor soccer team in Carlton. Really friendly team but we take our football pretty seriously(currently 4th on the table). Hope to hear from you!